Discovering the little stories in the fascinating natural world by first hand videography. 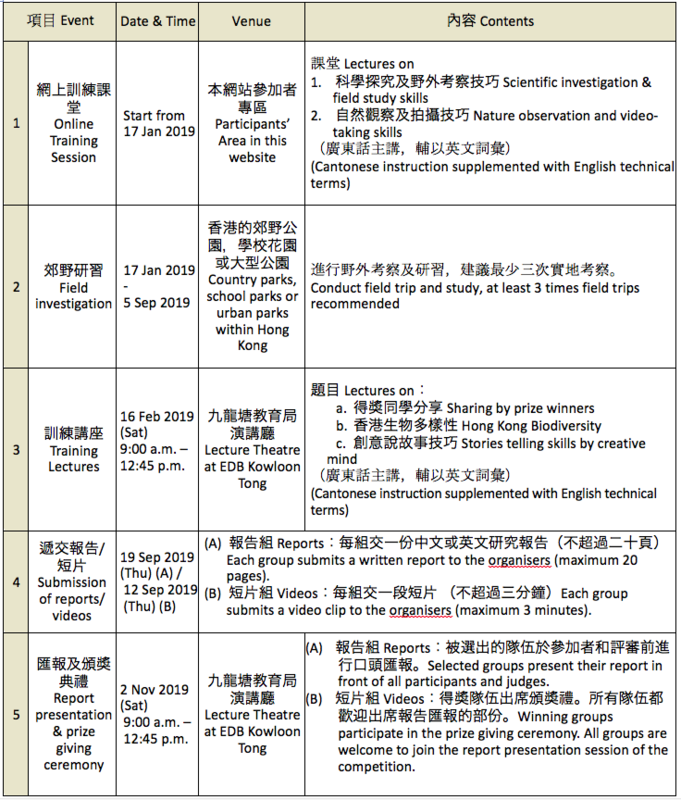 Senior secondary school students taking Biology or Combined Science (Biology part) in Hong Kong. According to application order - First-come-first-served basis, whereas considerations will also be given to allow more schools to participate. 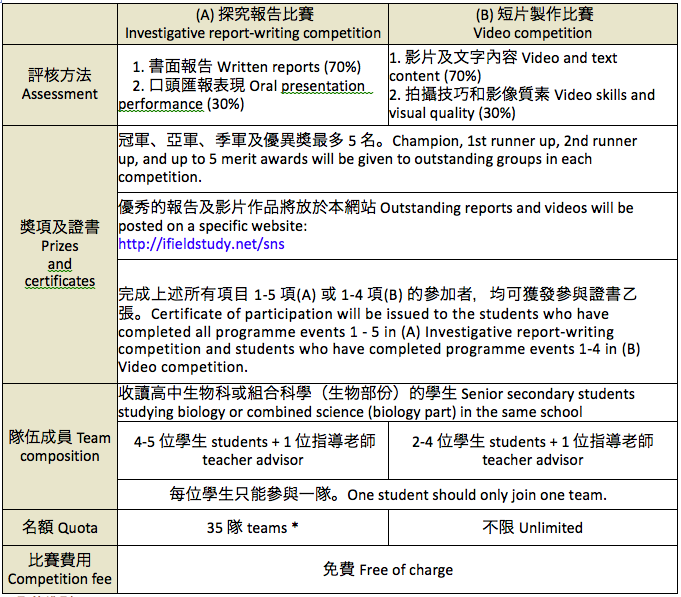 School should indicate the priority of the teams nominated. It means that if there are less than 35 schools enrolling, the second nominated team from each school will then be accepted on a first-come-first served basis, and so forth. Maximum 3 groups from one school.